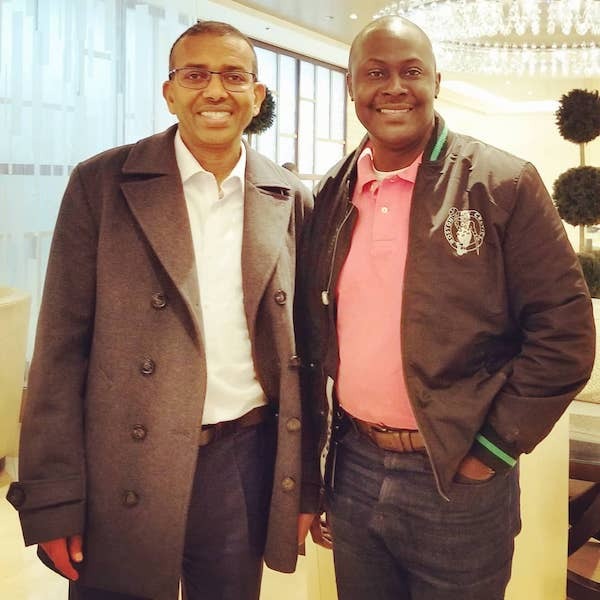 By Ronnie Mayanja — On Friday April 6th I had the rare opportunity for a sit down interview with a man who has revolutionized the remittance business and the way the diaspora sends and receives money globally — Dr. Ismail Ahmed founded WorldRemit and also serves as its Chief Executive Officer. With more than 20 years experience in international remittances as an academic researcher, compliance adviser for the United Nations and consultant for leading money transfer companies in the Horn of Africa corridor. He holds an MSc with distinction, a PhD in economics from the University of London and an Executive MBA from London. Below are some of the answers he gave during my interview and what WorldRemit is planning for their Uganda Market. Q. 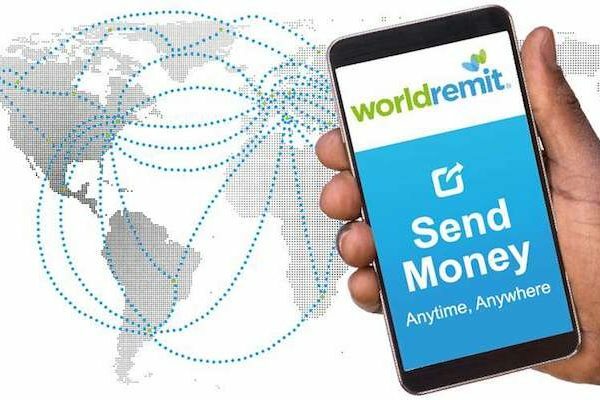 What really prompted you to start WorldRemit as a money transfer platform? Well I had been involved in remittances for more than 20 years. Before I left Somaliland, my family used to receive remittances from the Gulf. But the services were not readily available in London. We had offline players and we had to travel long distances to access these services. I encountered the same in the UK– a return trip would take me atleast 3 hours to and from this took valuable time and fees out of my day. Then I started working at the UN in the remittance department. This gave me the exposure I needed to further research this field as sender, receiver and compliance advisor at the UN and it led me to start this business. Q. Where do you see WorldRemit going with the advent of mobile money technology. Do you see us getting mobile wallets courtesy of WorldRemit down the road? We have the largest market share of accounts going to mobile money services in Africa. We saw the opportunity to partner with the telecoms when the mobile money platforms were established. We are excited to see the digitization of services in Africa, in Uganda for example at least 80% of the mobile money transactions made are done with us. Of course with the success we have now received with mobile money we can now build on other services that our customers need to expand our operations. However given the rich history of all the migrants we serve there is an opportunity to explore mobile wallets as the needs of our customers arise. Q. Are you afraid of Safaricom – MPESA, Equity Bank’s Equi-Duuka and the other companies that are now using the mobile money digital space to transact? We do not envisage that because those are domestic money transfer services whose services are largely local and we are an international service that sends money from more than 50 countries to more than 149 destinations — this positions us as a global player in the remittance space.We raised over $220m to build global digital services obtaining licenses across continents. Local telecoms cannot acquire these many licences. We are now in the process of setting up offices in Uganda and Kenya to provide for other services and allow for SMEs that send money to do business overseas. In the future there will be no separation from the sender and the receiver–this will be one service in the long term, allowing those using these services the freedom of use. Q. Talk to us about the numbers and volume of your business to, say, Uganda and Kenya. In Uganda we are doing about $100 million dollars annually and Kenya its double that– about $250 million dollars. This is money sent through us using our digital platforms. Tanzania and Rwanda are equally big and so is the region as a whole. Q. How has the service worked for you in, say, war-torn South Sudan? South Sudan and Eritrea are the two markets where we don’t send money partly because of the business and security climate. But our biggest markets in Southern Africa are South Africa and Zimbabwe and Nigeria, Ghana and Cameroon dominate in West Africa. Q. How has the advent and growth of WAVE money transfer services affected WorldRemit operations in the region? We always welcome competition from new players, especially those serving a niche-based market. This means our people are never short of choices when choosing a company to work with. We on the other hand feel the services we offer are way different from all the other players. While our competitors offer one method of payout we are offer cash payout, mobile money transfers, bank deposits and more. We also offer the stability and trust clients need, having raised over $220 million dollars to build an operation of this magnitude. So our customers know that we are going to be around for a long time, having invested in our technology, compliance and numerous licenses. We work with all the big players like MPESA, MTN and the biggest banks in the region. The bottom line for us is how to ensure that hard-earned money savings sent by migrant workers is not tainted with money laundered by criminals. So we are quite proud of the money we have invested in compliance and the security of our network. Competition is welcome but we also offer the most competitive prices in spite of the small fees we charge. Q. Dahabshill money transfer allows customers to send and receive in dollars. Is this something WorldRemit plans to do down the road? Sometimes the fluctuating exchange rates determine the provider some will choose to send and receive money. It is true that part of the challenge we face in East Africa is partially the dollarization of the economies. Some migrants prefer sending their savings in dollars. In Kenya we provide this service and in Uganda that is going to be one of the new services we shall offer our customers. However this is launching in the next few weeks so stay tuned. Q. Going through your menus i see mobile money, bank deposits, cash withdrawals etc. Are you planning to launch a mobile wallet for your customers as well? We are setting up a company in Uganda now and are in the process of obtaining a license. We shall be providing alot of services and products that are not locally available but of which will include instant notifications and deposits to USD accounts. We are also exploring services like the storage of money using mobile wallets for the future. Q. Ethiopians were able to set up and finance a major infrastructure project using a diaspora bond. Can African governments partner with WorldRemit as one of the ways to implement these infrastructure projects and finance diaspora bonds through deposits made with, say, your digital platform? We are already offering numerous services like airtime top-ups, bank deposits, mobile money transfers, cash deposits and we are now in the process of adding more payment services. Whenever we see a need like buying of shares or bonds we build a platform that allows for our customer needs to be met. So we built a customizable platform and are definitely interested in building an ecosystem that allows for these and other services to be developed. Q. Given the smart phone absorption in Africa do you envisage a situation were unbanked folks turn to digital platforms as opposed to conventional banks to do business? We have already seen more unbanked folks setting up mobile money accounts today, partly because of the process and ease with which this can be done compared to bank accounts. When we started our services in Uganda 100% were cash pick-up but today its 80% which are digital. The majority of users are upcountry rural folks using a feature of a phone to send and receive. This in itself is a bank account in your pocket. We are seeing this digitization across the board. There is a shift from the informal to the formal sectors. As a result of digitization folks are now able to move into the formal sector as a way to access financial services. This allows for governments to measure GDP across various platforms because some economic activities that could not be measured in the past are now measurable on these digital platforms. Through our platforms we have also captured the numbers and stats of those sending and receiving money. This is something conventional banks are yet to adapt to in converting their large streams of data to interpret their customer needs. When money was used in cash form there was no way you could know what people were doing or what they were transacting in but through the digitization process this process is now open for monitoring and perhaps development. Q. Cyber Crime and Money Laundering Acts. How have you been able to put a system of checks and balances that prevents wrong elements from abusing your system? Those were the areas I focused on initially because of my background in compliance. We have a zero tolerance on this and have invested heavily to ensure compliance both with government and the telecoms we partner with. We built a robust platform that meets these expectations and have also built a culture of compliance to ensure this is consistent in our operations. Compliance is therefore critical to what we do for mobile transfer operations and its part of our DNA. when we came to the US some of our competitors rented licenses but we have had to go through the process to get licensed in the 49 states across the USA. We only got licensed last month in the State of New York partly due to regulation and the processes involved. It was largely due to the fact that we take compliance seriously. So we also want to ensure that hard-earned savings of migrants are not tainted by money coming in from wrong elements. Our partners have also recognized our expertise like in Malaysia we were the first international money transfer company allowed to operate using some guidelines that allowed us to know their customers, largely because of what we have done in other markets and the strength of our compliance. My worry is some digital players might not have the technology to prevent such acts of terrorism, largely because they might not have invested in compliance. Q. Looking at the digital space and the impact of Airbnb, Uber, Amazon, and failure of Western Union and MoneyGram to invade this digital space, where is WorldRemit headed in the next 5 years? Well the global remittance market is now valued at $600 billion dollars globally. We are still a very small player when you look at the size of remittances in terms of market share. Currently we have 10 million customers that use our digital platforms and we would like to grow this over the next 5 years. The plan is to add another 10 million customers, of which half will be from Africa by 2020 — African diaspora or recipients of remittances. We also want to see intra-Africa transfers begin across borders. We want to introduce a seamless money transfer across African currencies without going through New York, since we are trading in all these African currencies daily. Q. As we conclude — are you planning to get WorldRemit publicly listed anytime soon? We have built a business that we would like to remain independent but in the next two years we might consider going public. Q. Final remarks especially as far as the Uganda Corridor is concerned? We are quite excited about what we are doing in East Africa, especially Uganda. Uganda has been a fantastic market. The region has experienced tremendous growth in the digital money transfer market. Initially we started off 100% cash pick-up. Today we are 80% digital pick-up. This is the best example of mobile money absorption and digitization in Africa and yes something new is in the offing for Uganda. We want to grow the local businesses by providing more options through our network and digital platforms. We are also steadily growing and expanding in Asia, Africa, the Middle East, the Philippines, Latin America, Japan and North America. Founded in late 2010, $220 million funding from the early investors of Facebook, Slack and Spotify, headquartered in London UK, sending from more than 50 countries to more than 145 destinations, 1 million transactions per month, 400 staff globally, £61m revenues in 2017 (up from £41m revenue in 2016 and £27m in 2015). Connected to 130m mobile money accounts or 1/5 of all accounts globally via 34 mobile money services in 26 countries across Europe, Africa and Asia – literally from Armenia to Zimbabwe. Handles 74% of international money transfers from Money Transfer Operators to mobile money accounts, according to the GSMA. More than a third (1/3) of WorldRemit’s global transfers and around half of its transfers to Africa go to mobile money services. What’s the latest with WorldRemit? March 2018 – WorldRemit launches in NY as a send state. Dec 2017- WorldRemit raises $40m in Series C from the early investors of Facebook, Slack and Spotify ($220m to date, in 7 years). 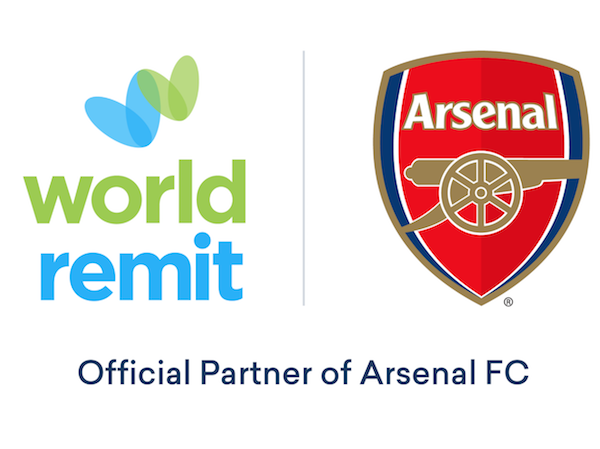 Nov 2017 – WorldRemit becomes Arsenal FC’s first-ever online money transfer partner in a global sponsorship deal for all Premier League, League Cup and FA Cup games. Jul 2017 – WorldRemit and Huawei announce a partnership making WorldRemit’s international money transfer service available to all partners of the technology giant’s mobile money service platform across Africa. Jun 2017 – WorldRemit adds Android Pay to its service, offering a new way for WorldRemit’s Android Pay users to safely and securely send money to +130 million mobile money accounts accessible via its network.